In a race that went down to the wire, Democratic challenger Jorge Cabrera defeated incumbent Republican state Sen. George Logan by a narrow margin to win the 17th Senatorial District seat. However, a recount is needed before Cabrera can officially claim victory in the district, which covers all or parts of Ansonia, Beacon Falls, Bethany, Derby, Hamden, Naugatuck and Woodbridge. As of late Tuesday night, unofficial results had Logan, who was elected in 2016 after defeating longtime Democrat incumbent Joseph Crisco, slightly ahead of Cabrera with some same-day and absentee ballots still being tallied. As of Wednesday morning, unofficial results reported on the Secretary of State’s website showed Cabrera won by 176 votes, 18,683 to 18,507. “It is humbling and an honor to have that much support. Thousands believed in our vision and our message,” said Cabrera on Wednesday morning. The slim margin of victory triggered a recount. According to the Secretary of State’s website, a recount is needed when the difference in votes is less than one half of 1 percent of the total votes. Logan, a 49-year-old Ansonia resident who works as the director of environmental management for Aquarian Water Company, believes the recount will come out in his favor. “I believe that we won this election. I think checking the numbers and doing a recount will prove that,” Logan said. Logan said he won by large margins in the Naugatuck Valley towns, including Naugatuck and Beacon Falls. 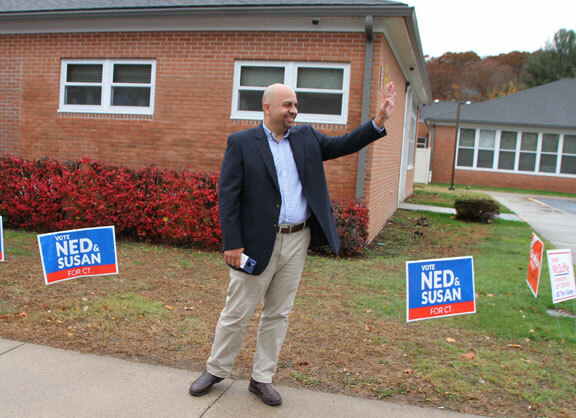 However, a large majority of voters in Hamden went for Cabrera, especially in two districts, he said. 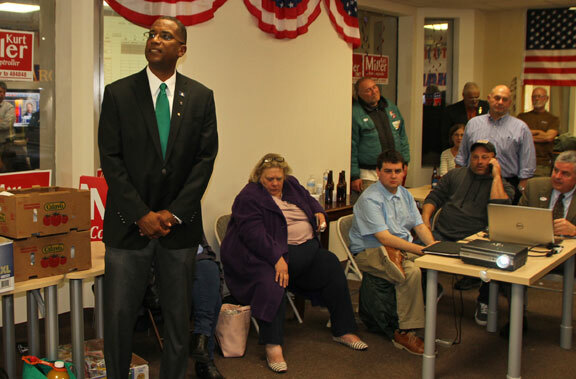 “I am highly suspicious of the results, particularly in those two districts,” Logan said. Cabrera said he’s sure the results are accurate. “We feel very confident that we will prevail in any recount,” Cabrera said. 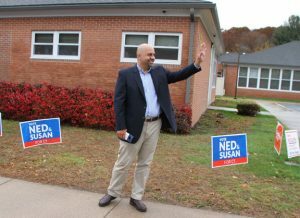 Cabrera, a 44-year-old Hamden resident who works for the United Food and Commercial Worker’s Union Local 919, said he came out ahead because his message of fighting for health care, school funding and the people of the 17th District resonated with voters. He added his past experience means that he will be ready to go on day one in the Senate. “This is what I’ve been fighting for for over 25 years,” Cabrera said.